After months of rumors, the Apple Watch Series 4 is here. 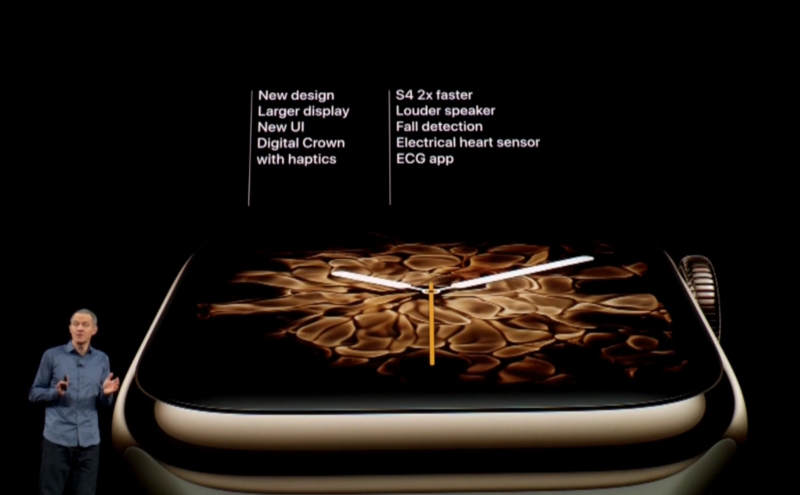 It sports a new, edge-to-edge OLED display, and a faster processor. Apple's latest wearable, known as the Series 4, was announced at the Steve Jobs Theater alongside a new batch of iPhones. To go with the new display is a series of new and updated watch faces that take advantage of the newly available real estate. Developers can take advantage of the new complication types that have room for added graphics. Instead of different models of the Apple Watch using different materials for their backs, all models will come with ceramic backs, which is much less prone to scratching. It also affords better cellular signals. Apple is improving the heart features of the Apple Watch Series 4 with three new features. The first, is low heart rate. The second, it attempts to monitor your heart in the background and to identify atrial fibrillation (or aFib). 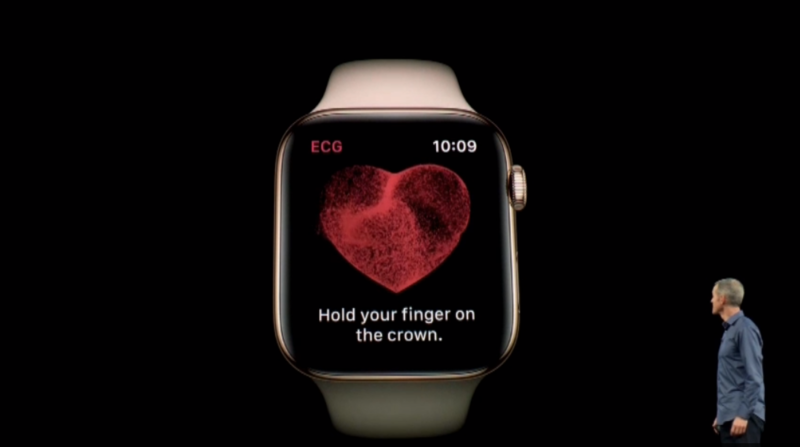 Lastly, the new Apple Watch allows you to take an electrocardiogram —or ECG. This marks the first time an ECG product has been available over the counter, direct to consumers. When it comes to the specs, there's a lot to love. The processor has been upgraded to the 64-bit S4 processor with much-improved performance. Apple has upgraded the 3-axis gyroscope with twice the dynamic range, which now allows them to be able to detect falls. Falls, trips, and slips can be identified and will automatically trigger an alert and allow you to call emergency services. If it detects that you haven't moved for 60 seconds, it will automatically make that call for you, as well as sending your location to your emergency contact.